97% of western Europe has chosen fluoride-free water. This includes: Austria, Belgium, Denmark, Finland, France, Germany, Iceland, Italy, Luxembourg, Netherlands, Northern Ireland, Norway, Scotland, Sweden, and Switzerland. (While some European countries add fluoride to salt, the majority do not.) Thus, rather than mandating fluoride treatment for the whole population, western Europe allows individuals the right to choose, or refuse, fluoride. Contrary to previous belief, fluoride has minimal benefit when swallowed. When water fluoridation began in the 1940s and ’50s, dentists believed that fluoride needed to be swallowed in order to be most effective. This belief, however, has now been discredited by an extensive body of modern research (1).According to the Centers for Disease Control, fluoride’s “predominant effect is posteruptive and topical” (2). In other words, any benefits that accrue from the use of fluoride, come from the direct application of fluoride to the outside of teeth (after they have erupted into the mouth) and not from ingestion. Here is an informative video on “The Fluoride Deception” and its link to the phosphate mining industry. 7. National Research Council. (2006). 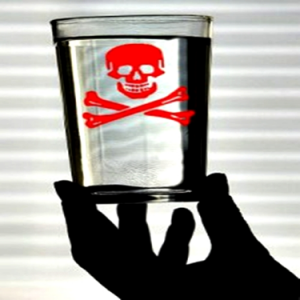 Fluoride in Drinking Water: A Scientific Review of EPA’s Standards. National Academies Press, WashingtonD.C. p. 173-188. 10. Xiang Q, et al. (2003a). Effect of fluoride in drinking water on children’s intelligence. Fluoride 36: 84-94; 198-199.